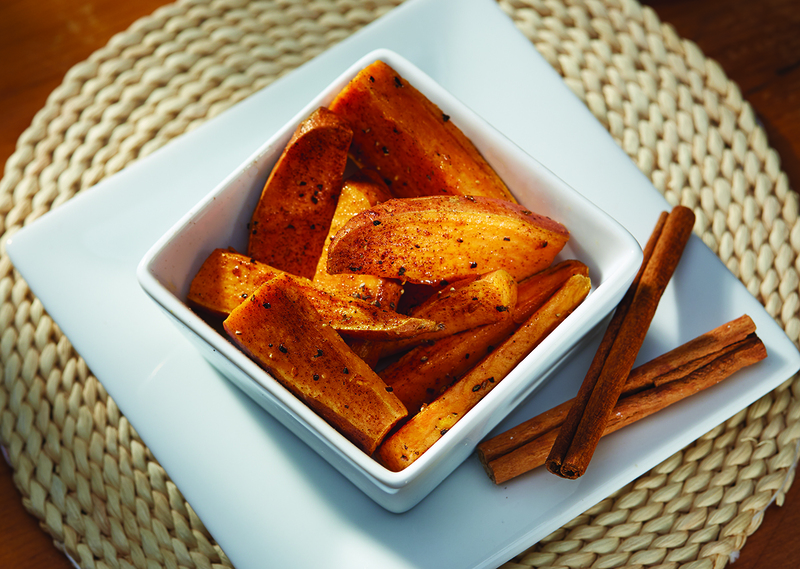 Spice up your sweet potato’s with cinnamon and pepper to give them a kick. It only takes two steps to make this delicious side to your favorite meal. Place sweet potatoes, oil and salt and pepper into a large resealable plastic bag; mix well to coat. Preheat Contact Roaster. Place potatoes, flat sides down, directly on surface of roaster. Set timer and roast 15 min. turning twice or until tender crisp browned on all sides.